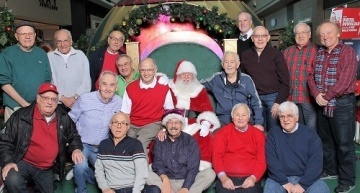 For Terry (Sotiros) Nikolaos Karis (Kanakaris) making good parea (companionship) has been the key to a successful life in Seattle’s Greek community. It is clear that he has sought to maintain these friendships with old and young alike to keep his Greek culture and traditions alive. 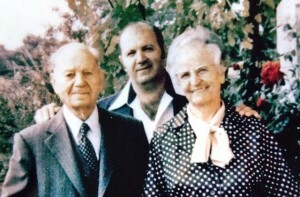 Terry’s uncle, George Kanakaris, came to the United States in 1908 from Levidi, a village near Tripoli in the Peloponnese region of Greece. His brother Nick followed in 1910 and operated the Green Oyster and Chophouse in Portland, Oregon. In 1930 Nick was 40 years old and had enough money to return to Greece to find a bride – Maria Gochis, one of 18 children in Kalamata, Greece. His future father-in-law said Nick was too old as Maria was 20. Nick had worked hard enough to justify his intent and they did marry despite her father’s protestations. 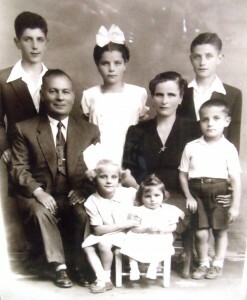 Terry was born in Kalamata and claims three birth years – 1933, 1934 and 1935. The actual birth year was 1933. When the family moved to Levidi, Nick registered his son with a 1935 birthday so he (Nick) would not have to go into the Army. Years later Terry called to get a birth certificate and was told, “Just tell me when you were born and I’ll write one up” so Terry chose 1935. 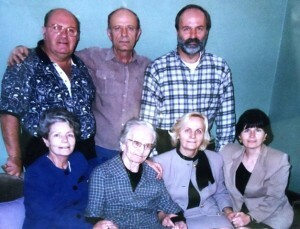 He was one of six children: George and twin sister Georgene, Angelikoula, Demitri (deceased in 2009) and Toula. 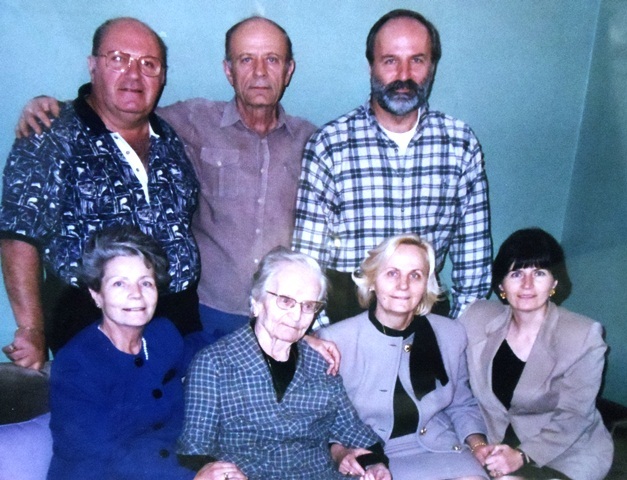 When Nick was ready to bring the family to the United States, they were unable to leave Greece because of the German occupation. By the time travel was possible in 1947, Nick chose to stay in Greece. When Terry was 15 he traveled through New York to Seattle to live with his uncle George and aunt Ourania Kanakaris and attend school. In Seattle Sotiros shortened his name to Terry through his association with Sotiros Stamos and Sotiros Matandos who also used the name Terry. Kanakaris was shortened to Karis partly because of the desire to assimilate in the 1950s and because a cousin had done the same thing. Terry spent three months in a program to determine placement of immigrant students in the public school system. He then entered Lincoln High School in the Wallingford district where many Greek immigrants and Greek-Americans lived. 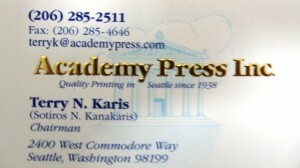 Terry’s cousin, Mary Cotronis, and her husband George also lived in Seattle and had operated Academy Press since 1938. 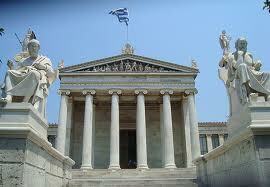 It was named after the Athens Academy of Fine Arts between Omonia and Syntagma Squares in Athens, Greece. In the morning cousin George would drive Terry to school and continue on to the Academy Press offices in Seattle’s Maritime Building. Once established in school, Terry was able to obtain an early dismissal and take the bus downtown to work part time at Academy. He remembers his first paychecks after two weeks at work, one to Ourania Kanakaris for $10 for room and board and the other for $2.25 for his wages. Terry also worked at the Washington Athletic Club for a few years as a bell boy and in room service. 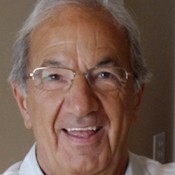 His interest was in accounting and he began those studies at the University of Washington in 1953. He participated in the ROTC (Reserve Officers Training Corps) at the University but was unable to complete that program or his degree as he needed to work to support himself. He was within one year from earning his degree when he received his draft notice. Terry’s memories about his early days in Seattle are vivid. He recalls simpler times when Greek businessmen would take their day’s income to the bank in a paper bag and let the bank staff count it. The older Greeks, many of them bachelors, treated the younger immigrants well. Seattle’s Prefontaine Place housed several Greek-owned businesses including the kafenion (coffee house) where men would gather to play cards, drink coffee and share stories of the old country. Nick Chigaras and George Pelonis had barber shops there. 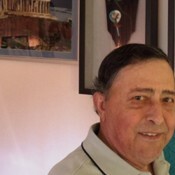 Terry recalls the barber Pelonis in tears as Terry shared recent news from Greece. He remembers the Acropolis restaurant and another restaurant below owned by Mr. Martin. 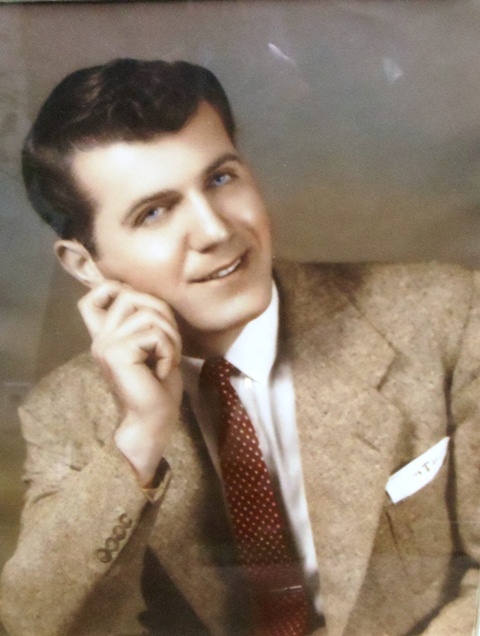 Terry estimates that over 300 young Greek men arrived in Seattle shortly after World War II. 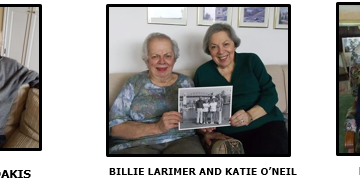 Among his immigrant friends were Tom and Pete Economou who came in 1947. Manuel Xenos and Ed Wynakos followed shortly thereafter. The young men would gather either at the Economou home in Rainier Valley or the Xenos home in Wallingford to play cards, drink beer, dance and party. Terry became acquainted with many Greek businessmen while selling for Academy Press. Pete Wells had the Lotus Café on First Avenue. Spiro Nicon owned Spin’s on Pine Street. George Diafos and his son Milton had George’s Café on Seneca Street. Gene Cazone bartended at the Lotus Café and later in the Legend Room at the Bon Marche (now Macy’s) in the Northgate Shopping Center. Terry seldom, if ever, paid for a drink or a meal when he visited these places. P. J. Alexander employed many Greeks at Western Casting and Bethlehem Steel. 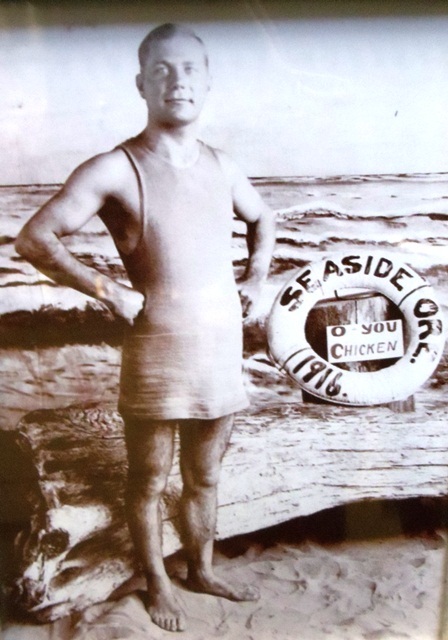 A Greek man operated the Marine Room at the Olympic Hotel (now the Fairmont Olympic) and employed Pete Farmasonis, Louie Carras and Jim Anas and hosted frequent gatherings of recent immigrants. 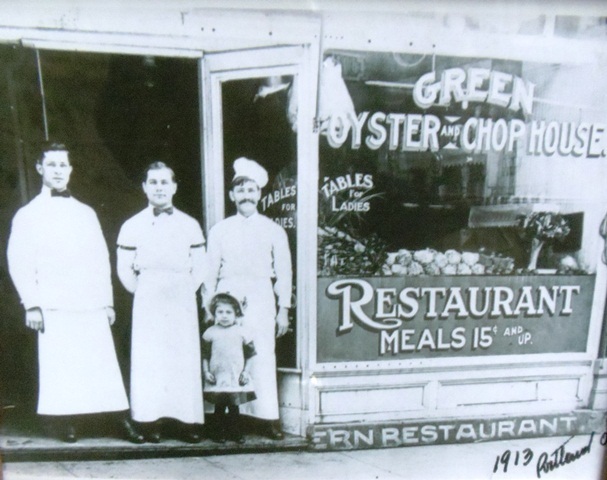 Bill Kouldukis’ father had a tavern on First and Cherry and shared space with a Greek who shined shoes there for 30 years. Nick Zefkeles had the Old Timer’s Café in Pioneer Square and Pete Economou operated the Anchor Inn nearby. Terry recalls that there were also a number of scams that Greeks learned to avoid. In their desire to make quick money, either to support families in Greece or for their own accumulation to return to the old country, several fell prey to scams and con games. Men flashing large wads of cash would lure young, often naïve, young men into such scams. Terry learned to always keep two one-hundred-dollar bills safely tucked in the back of his wallet, a practice that he continues to this day. In 1957 while attending the vasilopita (St. Basil’s bread) celebration at St. Demetrios Church Terry met Hanna “Anna” McKeenan. Anna was baptized Russian Orthodox. Her father came from England and her mother was a native Alaskan. 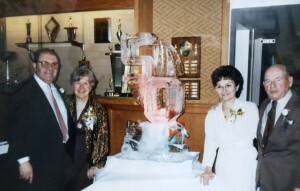 Anna was working for Rose Saridakis at what is now Metropolitan Hearing Services in Seattle. Terry and Anna married on October 5, 1957, shortly before he was drafted into the United States Army. With consideration of his accounting background he was assigned as a battery clerk in Anchorage, Alaska, where he spent 26 months. 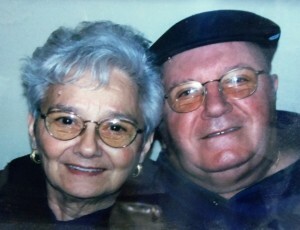 Anna joined him there and their first child Terry Marie was born in 1960. 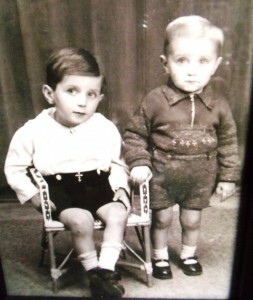 Two sons Nick and Tony were born in 1961 and 1964 respectively after the family returned to Seattle. There are now seven Karis grandchildren, five boys and two girls. Back in Seattle, Terry resumed his work at Academy Press, splitting his time between selling and shop maintenance. Selling was his forte. Now with a wife and children he sought extra work selling siding and roofing for Pete Fotes. He considered selling cars with Nick Carras and did work for a short time for Bill Lillas Oldsmobile. Golf is Terry’s sport. After his first few weeks in Seattle, he was invited to join his cousin and mentor George Cotronis on the West Seattle Golf Course. Several other Greeks (Farmasonis, Lucas, Carkonen, Economou) joined them, playing for quarters while Terry caddied for George. 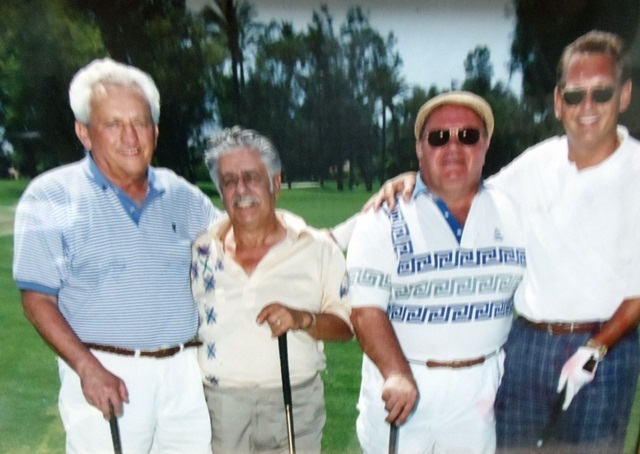 Through his association with AHEPA (American Hellenic Educational Progressive Association) he has organized a number of golf tournaments in Washington State, around the United States and even took a group of 40 to play on the island of Corfu in Greece. 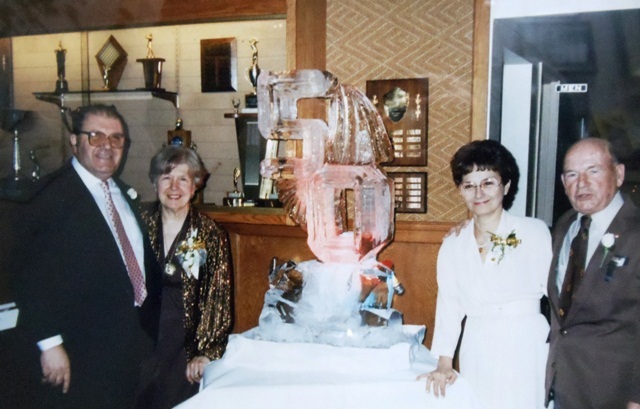 As a 50-plus-year member of AHEPA, he remembers when almost every Greek in Seattle belonged to the organization. 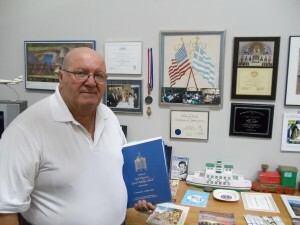 Tom Tolias was the advisor for the Sons of Pericles (AHEPA’s young mens’ affiliate). Taso Morissey who worked in the Seattle First National Bank would prepare cashier’s checks to be sent to Greece. 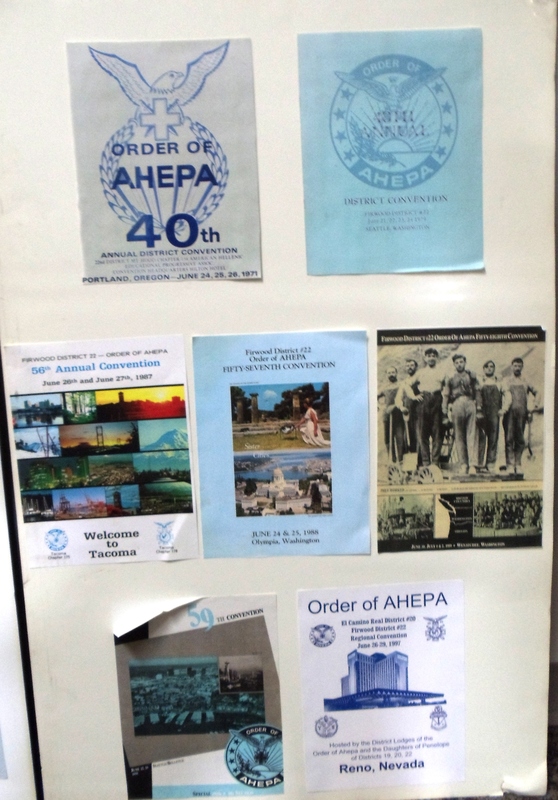 Taso and George Cotronis began producing the AHEPA Mentor, the newsletter for the district, which included Oregon, Washington and British Columbia. The publication continues to be produced by Academy Press. 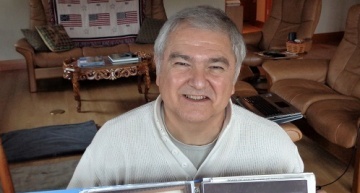 Terry is proud of two projects for which he has been responsible. First, while at the Greek Village restaurant one day the idea of airing a Greek Hour on KXA was discussed. 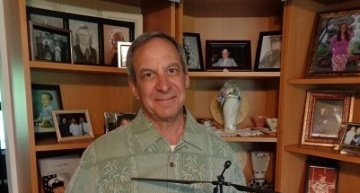 Terry contacted the station and began collecting records and stories to serve as the disco cavalaris (disc jockey) for the program. He would talk in Greek and an interpreter would put his words into English. His friend Spiro Savvides spoke better English and had some radio experience and Terry eventually relinquished his role to him. (See Spiro’s Finest Hour under Making a Living). Secondly Terry’s friend, Tom Meadowcroft, owned Vagabond Travel and encouraged Terry to take some people to Greece. Terry organized a group, took them to Greece, put them on a cruise ship, and visited his parents while there. Again, with Spiro Savvides having an interest in the business, Terry transferred his work to Spiro and Cosmos Travel was born. 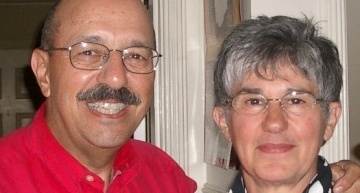 In 1975 George and Mary Cotronis decided to retire from Academy Press. Terry wanted to buy the business and did so with a generous “pay-as-you-can” loan from his friend, Tom Meadowcroft. 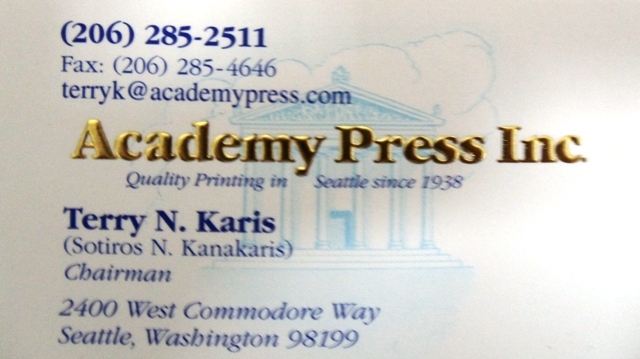 Over the years Academy Press has been very successful in providing a living for the family. Terry is very grateful for the support he received as a young immigrant in the 1950s and has given back to his community several times over. 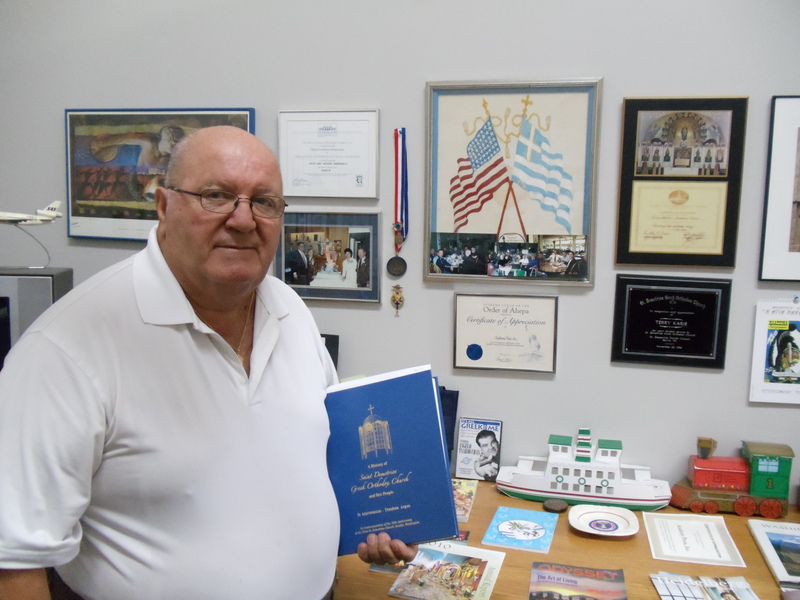 He not only produces the AHEPA Mentor, but donates practically all the printing for the Greek Orthodox churches in the Seattle area. His office is full of plaques, certificates, photos and memorabilia giving testimony to his participation in the Greek community. 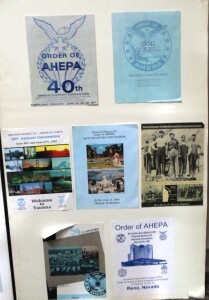 Included are four posters of information prepared for AHEPA conventions. As Terry’s active role in the business has decreased, Academy Press was recently turned over to sons Nick and Tony. 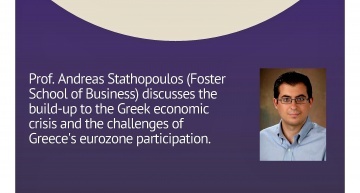 He encourages group activities and maintains his Greek parea at weekly lunches with his longtime friends. 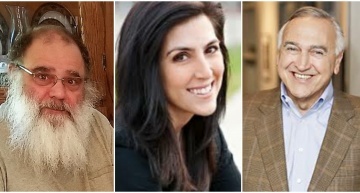 He believes that Greeks should help other Greeks and stay connected to their culture, their language and their Greek Orthodox faith. He believes that those who do not maintain the rich traditions are losing a great deal in their lives. “Don’t forget to go to church, light a candle, help wherever you can and always keep two $100 bills safely tucked in your wallet.” Terry’s extensive array of friends, wonderful enthusiasm and his simple and effective approach add to the richness of life. Was Her Mother a Gypsy? 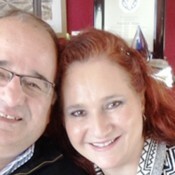 The Added Value of Being GreekWhen Angelos and Maria Xidias came to Seattle, Washington, in the 1980s, their Greek backgrounds augmented their new experiences and opportunities in the United States. 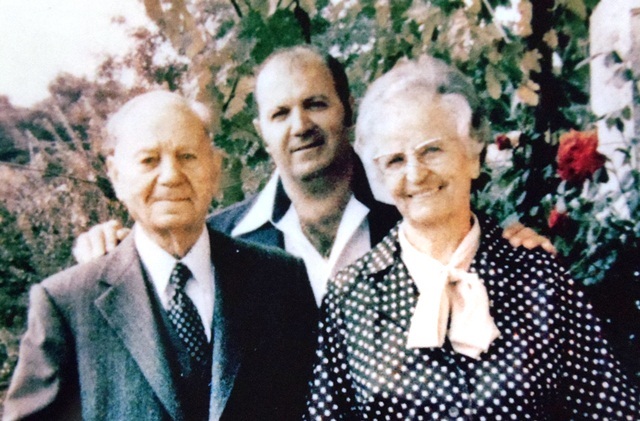 Hires to YouSteve (Stavros) James Sourapas’ Greek family experience and the operation of the family business were closely intertwined. Across the World’s Oceans and SeasHariklia “Holly” Poulias shares a unique Greek and Japanese heritage. She and her husband Nick share their stories of international travel and their lives in Seattle, Washington.